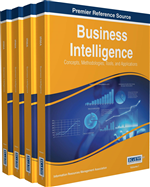 Nowadays, many organizations take Business Intelligence (BI) systems to improve their decision-making processes. Although many organizations have adopted BI systems, not all of these implementations have been successful. This paper seeks to identify critical success factors (CSFs) that impact on successful implementation of BI systems in organizations. So, at first, through literature review, 26 CSFs were identified. Following that, a questionnaire was developed and then filled out by domain experts who had at least three years of experience in BI implementation projects in Iran. Robust Exploratory Factor Analysis (EFA) was run for data analysis, which finally classified 26 CSFs into four distinct groups termed as “organizational”, “human”, “project management”, and “technical”. The results of this study provide a very useful reference for scholars and managers to identify the relevant issues of BI projects in Iran. For future enterprises must compete in all aspects, the need to generate, collect and transform their data into actionable knowledge would be sensed more than ever (Delen & Demirkan, 2013). Therefore, almost all enterprises are involved in the process of adopting decision support systems in order to exploit data, return information more agile and better, and also improve analytical capabilities as a modern valence for their services (Delen & Demirkan, 2013; Martins, Oliveira, & Popovič, 2013). Thus, the theme “business intelligence (BI)” is introduced as a response to current needs of businesses and consequently to solve managerial decision- making issues (Petrini & Pozzebon, 2009). In the simplest terms, the rationale behind BI is to provide knowledge workers within firms with valuable information which can accomplish their information needs (Vukšić, Bach, & Popovič, 2013). Actually, this enables organizations to cope with challenges such as acquiring information or making decisions in a more efficient and accurate way (Huang, Liu, & Chang, 2012). In terms of decision-support, BI intends to equip stakeholders with valuable information on decision-making process through data integration and analytical capabilities (Popovič, Hackney, Coelho, & Jaklič, 2012). Many analysts posit BI as the number one IT investment and the top-most priority for most chief information officers (CIOs) (Işık, Jones, & Sidorova, 2012; B. Wixom & Watson, 2010). By taking the top management concerns into consideration, it is not amazing that BI has settled on the head of IT developments in recent years (Howson, 2008; Luftman & Ben-Zvi, 2010). One assumption is that it is becoming more pervasive within organizations and is affecting the way information is used, analyzed and applied. As a result, enterprises can lead, decide, measure, manage and optimize their performance to obtain superior efficiency and derive financial benefits (Hostmann, Rayner, & Friedman, 2006). However, Rasmussen, Goldy, and Solli (2002) declared that the cost of buying and implementing BI software can vary from 50 thousand dollars to millions. Sahay and Ranjan (2008) and Ramamurthy, Sen, and Sinha (2008) also cited the tremendous cost of BI implementation in organizational environment. Nonetheless, many organizations have invested significantly in BI systems to help them gain better information processing and make the best business decisions, but have seen only limited success in getting their business users to adopt them (Ocampo & MCSD, 2007). In a similar vein, Gartner revealed that more than 50 percent of BI projects have been accepted on a limited basis or have totally failed. There is anecdotal evidence that a significant number of companies have failed to realize the expected benefits of BI and they sometimes even consider the BI initiative as a failure in itself (Chenoweth, Corral, & Demirkan, 2006; M. I. Hwang & Xu, 2005; Johnson, 2004). The Gartner group also warned that more than half of the Global 2000 enterprises would fail to realize the capabilities of BI and, hence, would lose market share to companies that could successfully apply BI systems (Dresner H. J., 2002). A survey of 142 companies, found that 41 percent of the respondents had experienced at least one BI project failure and only 15 percent of respondents believed that their BI initiative was a major success (Hawking & Sellitto, 2010). Moss and Atre (2003) indicated that 60% of BI projects failed due to inadequate planning, poor project management, undelivered business requirements and so on.